Trowel-in-hand gardening is off the table today, but there are still garden tasks to distract us on this rather rainy day. Read: I know my garden magazines are piling up. If the weather is nice, I want to be outside. Today is a great day to catch up on your garden reading. 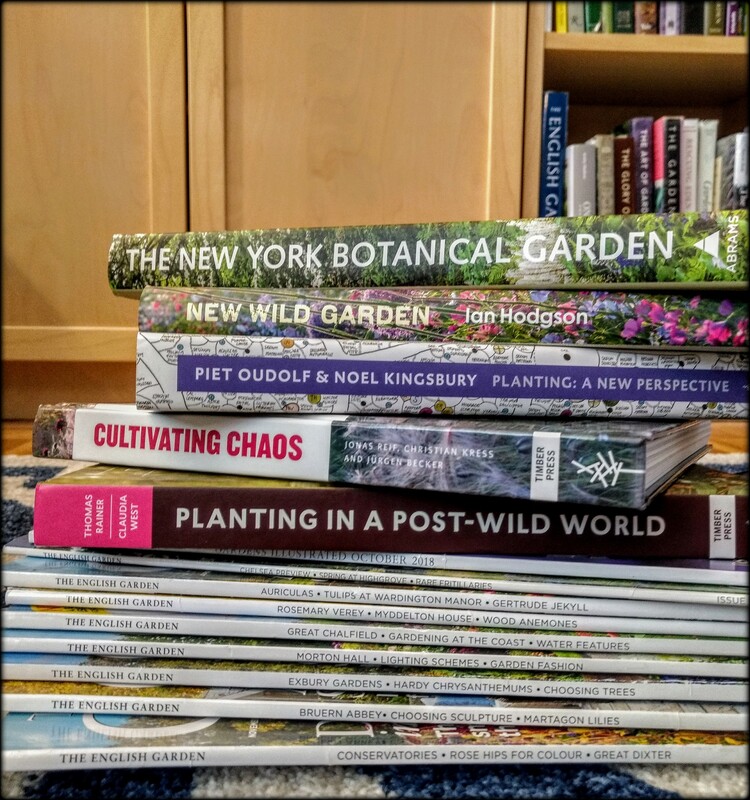 If you have stashes of older garden magazines and storage space is getting tight, consider pulling the photographs and articles you really need for reference and storing them in a garden binder. After all of that, you deserve a treat! Head to your local bookshop or library to read a garden book about a topic you have never explored. While dry sun gardening may not be a perfect fit in Cincinnati, the design concepts can still be applied. It’s always fun and beneficial to read about garden styles we cannot experience here in the Queen City. Study the Garden: Now’s a great time to sit and look at the garden. Do you have nice views from the windows? Are you seeing desirable fall colors or has the garden been pretty consistent from summer until now? How is your mulch-to-plant ratio? Are there plants, trees and shrubs ready to add winter interest or are you facing months of looking at mulch beds? Tool Time: Cleaning and sharpening tools is not on the top of the fun garden chores list. Nor is cleaning and preparing pots for winter storage. You might as well use this rainy day to get some of the less glamorous garden chores completed so when the rains do part, you’ll have freshly sharpened, clean shears to take into the garden. Call your garden designer! We are booking into 2019 for installations. Now’s a good time to start the design process be it a new garden or a slight alterations here and there throughout the landscape. Use this time to review design ideas and secure plants for early spring installations.